MUMBAI: Catchy, lively and upbeat Punjabi songs, released as singles by independent artistes are increasingly making their way into Hindi films. Interestingly, many of the reworked versions appear to be working better on the charts than the regional originals. Canny labels who own the rights to the Punjabi tunes are obviously on a winning wicket here. Filmmakers need to add just a glamorous Bollywood touch for the new track to work, it appears. The Meet Bros, who recently reworked the High Heels song for ‘Ki and Ka’ from a Punjabi original have their work cut out for them. "It was Bhushan's idea to recreate the track as he was already having the rights. We (Meet- Bros) mainly focus on originals but 'High Heels' being a catchy number we tried bit of our hands on it. We retained the music and rap of the song and changed the entire lyrics. Punjabi tracks are bouncy, therefore it a great idea to recreate it if the film demands such music," they say. Refurbished version of the song taken as it is with a little change in lyrics in the Tusshar Kapoor starrer ‘Chaar Din Ki Chandni’ (2012). The song re-used in the movie ‘Cocktail’ starring Deepika Padukone and Saif Ali Khan was a huge hit. The song re-released in the year 2011 on the soundtrack of the movie ‘Tanu Weds Mans’. We can see Kangana Ranaut dancing to the tunes of the song in the film. The popular number redone in the movie ‘Humpty Sharma Ki Dulhaniya’ and sung by ‘Arijit Singh’ did well than the original track. Because of the popularity and success of the song, RDB’s creation taken in ‘Singh is Bliing’ featuring Akshay Kumar. Singers Manjeet Singh and Sasha are the voices behind the new version. Probably going to become the party anthem of the year, this song is already a hit. Karan Johar for his upcoming movie, ‘Kapoor & Sons (Since 1921) take the song. Amaal Malik recreates the music for the same and singers Sukriti Kakar and Neha Kakkar lent the female voices. Recently went up song from the film ‘Airlift’ being loved by everyone around. The revamped version sung by singers Arijit Singh and Tulsi Kumar is a treat to ears. 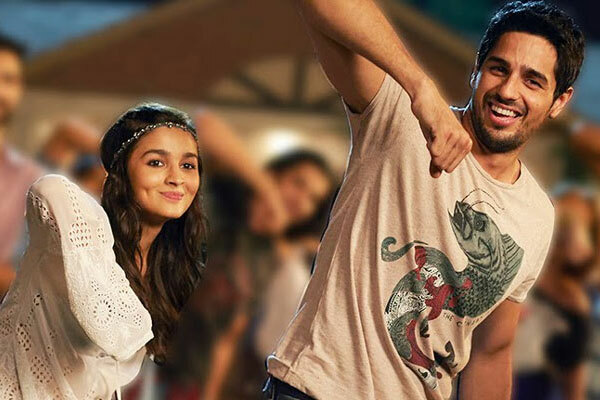 The song was already a hit when it again used in the film ‘Humpty Sharma Ki Dulhaniya’. The latest version featured in the film added female voice of Akriti Kakkar. First song from the film ‘Ki and Ka’ released, music being the same and lyrics with a little bit twist. Meet brothers played well with this new composition. Are Indian artiste taken less seriously than international? MUMBAI: The old Hindi saying, ‘Ghar ki murgi daal barabar’ stands true, when it comes to attending concerts for Indian audiences. They prefer attending an international star’s concert instead of their homegrown talent. MUMBAI: The vast legacy of Bollywood Music has seen emergence of many music directors, who composed songs that coined the term of Bollywood music.